Drawings by Robert Smith from our performance Jacob's Pillow Dance Festival's Inside/Out. 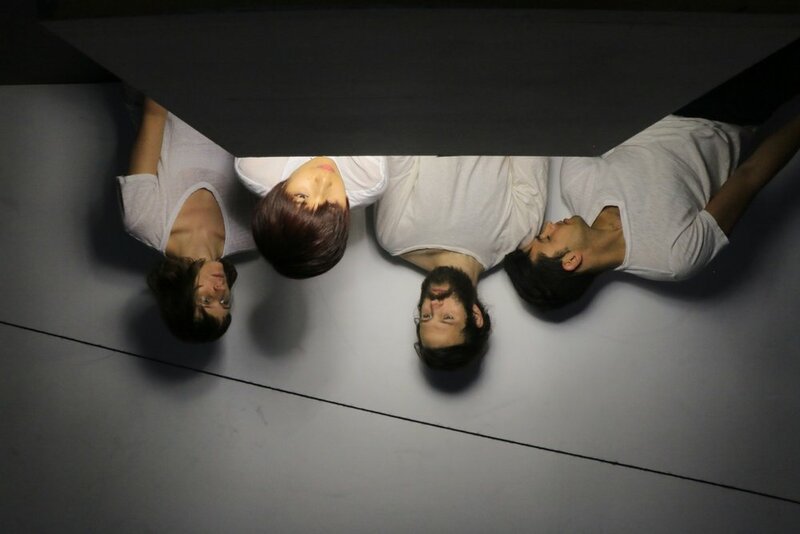 Dancers are Xan Burley, Myssi Robinson, Alex Springer, and Hsaio-Jou Tang. We are thrilled to announce that we'll be teaching and working as artists-in-residence at the University of Maryland's School of Theatre, Dance, and Performance Studies this coming January - May 2018. "Moving quickly from one world and into another, for North conjures rich imagery at a rapid fire pace." 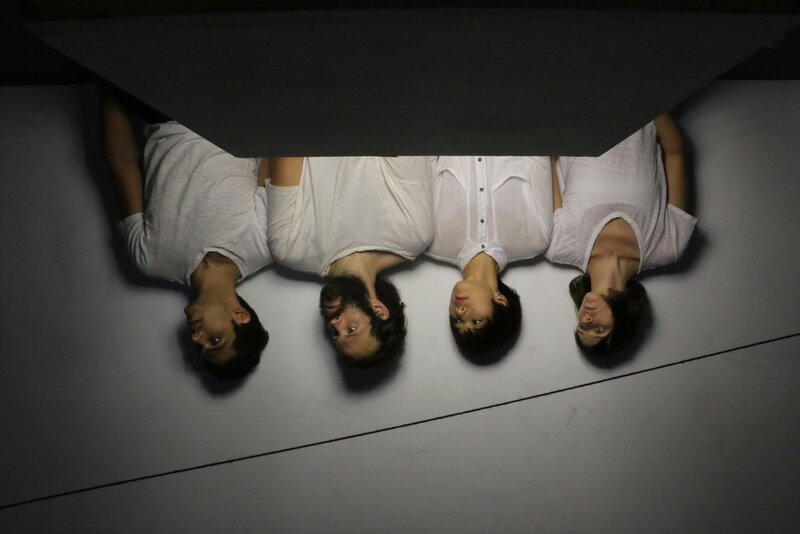 for North is an interdisciplinary project created in collaboration with and performed by Xan Burley, Will Owen, Alex Springer, and Hsiao-Jou Tang. for North is a devotion. We build and rebuild transient architectural borders that expose and consume our pursuant bodies. Each created chamber holds its own familiarity, its own distinct events, its own sonic climate. With every repeated act of making, we come closer and closer to artifact. 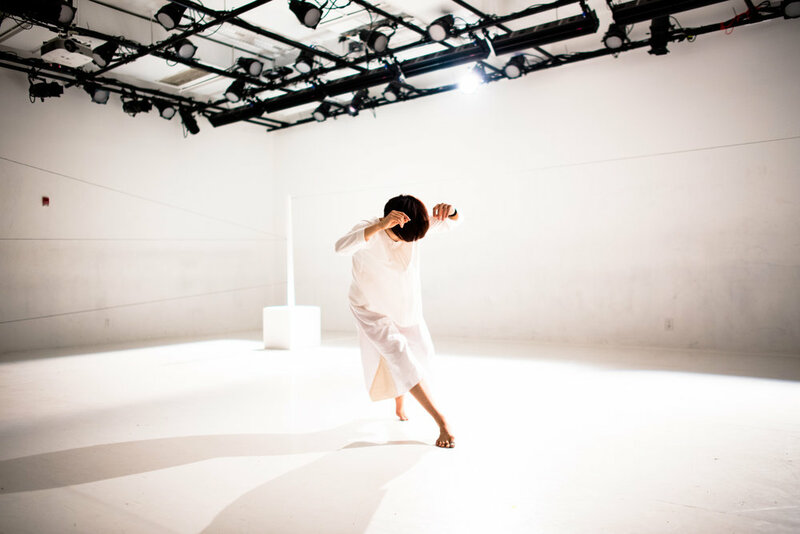 The Median Movement was selected for the first ever fully supported technical residency at the Center for Performance Research. The residency offers a full week of access for artists to their completely customizable performance space and laboratory. Alex + Xan received the University of Michigan's 2015 Emerging Artist Award. The Emerging Artist Awards recognize School of Music, Theater, and Dance graduates from within the past 15 years who have made a significant contribution to their artistic field. We're showing a new, very much in-progress, duet in Movement Research at the Judson Church on MONDAY OCT 5 @ 8pm! Special thanks goes out to Quentin Burley, Cesar Cordova, Katherine Ferrier, Imani Nia Foster, Natália Karam, the McGraw kids, Marian Passafaro, Alex Plaskey, Austin Selden, Mark Springer, Nathan Whiting, and Sofia Zalaquett for their generous help in the research process. Come check it out and catch three other artists as well. Bonus >>> it's free!